This revised and expanded second edition responds to new developments in the reception of Greece in contemporary popular culture, and particularly the impact of the film "300" (2006). Why, in a century of film-making, have so few versions of the story of Alexander the Great - or that of Troy's fall - made it to the big screen? In the aftermath of "Gladiator" (2000), with Hollywood studios rushing to revisit the ancient world with "Troy" and "Alexander" (both 2004), this question takes on renewed significance. Nisbet unpacks the ideas that continue to make Greece hot property - often too hot for Hollywood to handle. His lively explorations, which assume no prior expertise in classical or film studies, will appeal to all with an interest in 'reception': the present day's re-use and re-invention of the past. 'Ancient Greece in Film and Popular Culture' is a companion volume to 'Ancient Rome at the Cinema: Story and Spectacle in Hollywood and Rome', by Elena Theodorakopoulos (2010, paperback isbn: 9781904675280, hardback isbn: 9781904675540). 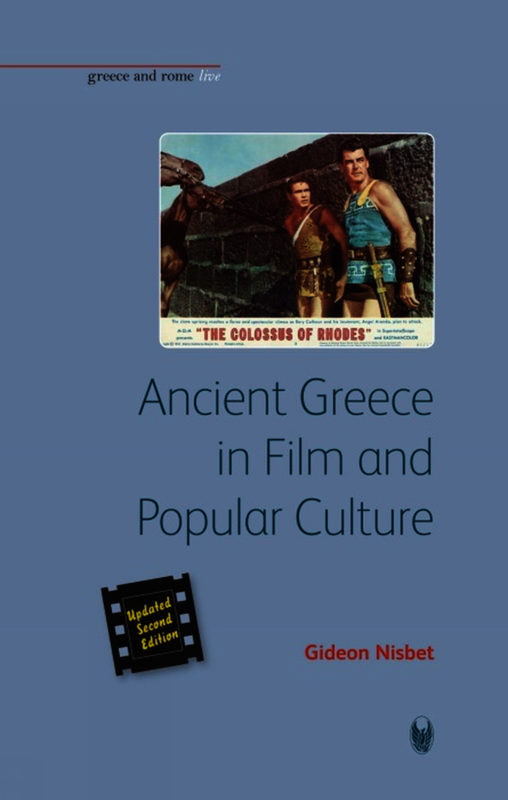 Nisbet has succeeded quite admirably with a thoughtful and insightful study of the problems that Greece presents as both a concrete and an abstract image in film and popular thought. This study is sustained by a nuanced understanding in a clear and lucid way with which even the most conservative of readers would feel comfortable. Nisbet's volume is a relatively short and succinctly written exploration. Jargon is avoided when at all possible, but he does provide an extremely helpful glossary of technical terms. One of the great strengths of his work is the effortless command he has of both the classical and modern material, whether he is discussing Socrates or Scorsese. Nisbet's volume is a thoughtful and thought-provoking work on the issues of reception that I foresee becoming a standard text for both students and scholars of classics and film. …in his entertaining book, the latest in the Bristol Phoenix press ‘Greece and Rome Live’ series, Gideon Nisbet draws on a range of popular media, including film, TV and comics to explore and expose the preconceptions that have for so long dictated the mise-en-scène of our imaginations. Gideon Nesbit injects his own distinctive style and an infectious sense of enthusiasm into his Ancient Greece in Film and Popular Culture. ‘As a result one is forced to consider more interesting and provocative questions: not ‘Why is Troy a bad film?’, but rather ‘Why is Greece such a hard concept for the modern world – particularly Hollywood – to think with? … the time is ripe for turning scholarly (and student) attention to what Greece means in modern popular culture (and why). Gideon Nisbet’s book, part of Bristol Phoenix Press’s Greece and Rome Live series, serves as a brief but punchy account of the topic, and will be of considerable value to a wide audience. … this book should be of as much interest to those working in reception study, and classics and ancient history more generally, as it is to students and teachers at whom it is notionally aimed. It is well suited to sparking discussion among undergraduates as well as introducing new perspectives to scholars. Course logistics permitting, I think it would be especially useful in combination with other recent studies as a stimulating introduction to the current scholarly conversation on Classics, media, and popular culture. Gideon Nisbet is a Lecturer in Classics at the Institute of Archaeology and Antiquity, University of Birmingham. He is the author of Greek Epigram in the Roman Empire: Martial's Forgotten Rivals (Oxford, 2003). He is also an ardent film-goer and observer of the Hollywood scene.